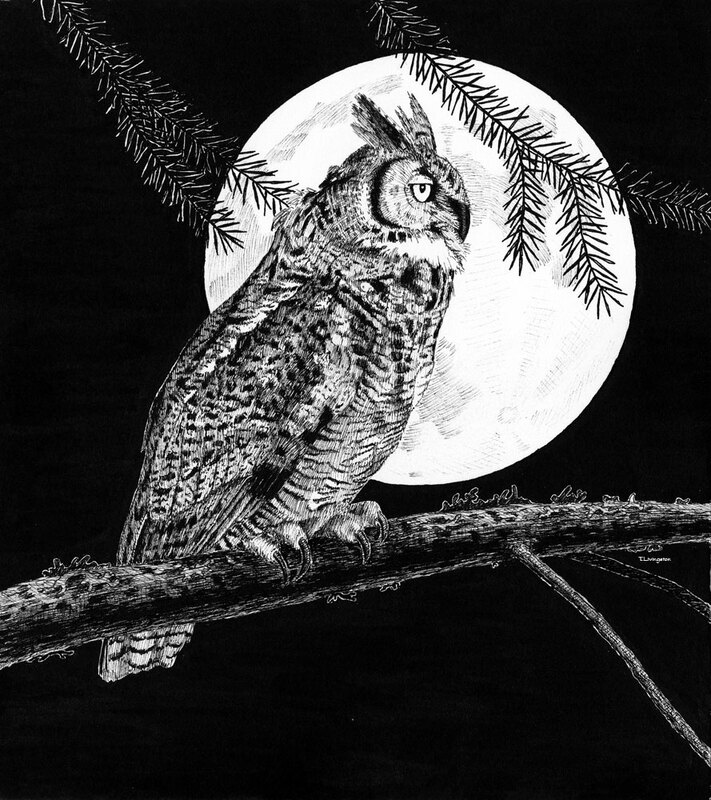 This entry was posted in Drawing, Pen and Ink, Wildlife and tagged birds, drawing, great horned owl, Kowanni, owl, pen and ink, Shasta Wildlife Rescue and Rehabilitation, wildlife art by foresterartist. Bookmark the permalink. I always learn from your animal facts! Thank you! Thanks Tim, sensitive sketch and lovely story. So glad to hear that chicks have appropriate foster parents. Thank you so much Leonie! 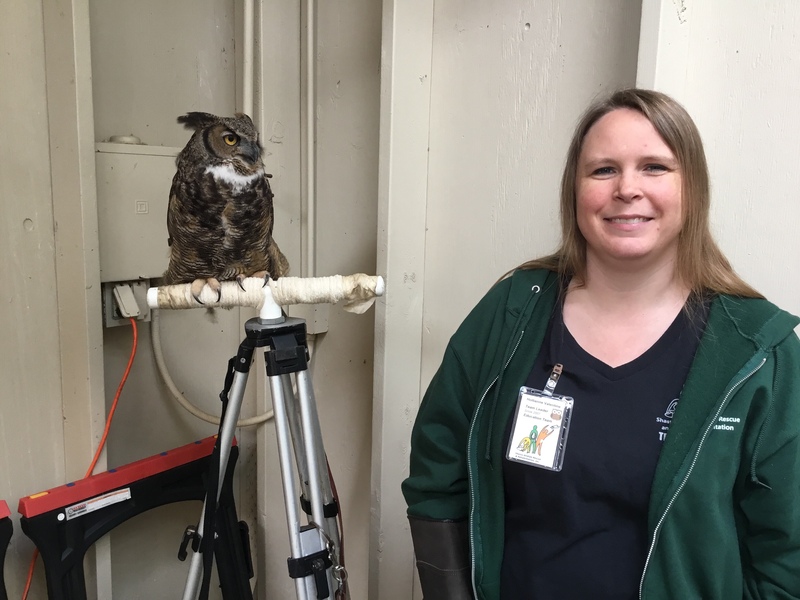 Since she can’t return to the wild it’s wonderful that she’s able to help other owls make it back. It also helps her live out her natural desire to raise young. Wow Tim, your pen & ink is absolutely stunning! What a great post! Lovely bird, Tim. It’s nice to know that Kowanni not only survived, but she thrived and is able to act as an animal ambassador and a foster mother. I am sure that ups the chick survival rate substantially. Thank you Ruth! Apparently, she and her partner are very good at it.